Various e-mails have arrived this week telling me that the sound mirror in East Beach Road at Selsey in Sussex which was up for sale has been bought. Known locally as the Listening Post, this acoustic mirror is unique as the only one to have been converted into a house! The garden was in a bit of state – it “looked like a jungle” says one local – but apparently it is now being cleared. The Listening Post was in April 1999 [12 March 1999 according to Images of England] recognised as a Grade 2 Listed building. During the 1st World War a listening post was built in Selsey at East Beach to provide early warning of approaching Zepplins. The structure took the form of an “acoustic mirror” which was built of concrete and shaped like a modern satellite dish. The structure survived and is currently the subject of great interest due to its rarity. Roger Whitehead has a couple of photos of it on Flickr. SZ 5289 SE SELSEY EAST BEACH ROAD (North side) 23/10031 Number 2, The Listening Post II Sound mirror, now incorporated within house. 1916, converted into house by late 1930s. Sound mirror built of reinforced concrete, the shuttered lifts to the exterior clearly visible. House has slate-clad stud walls and corrugated asbestos roof, with 2-window front and window inserted into left-side wall; extensions to rear and right. INTERIOR: curved profile to mirror wall. HISTORY: This house incorporates a complete example of a sound mirror, built in 1916 (recorded as under construction in March of that year) and one of a series of listening posts built for the Admiralty along the south-east and north-east coasts. The attacks by the German Fleet on east coast ports in December 1914 had alerted the Admiralty to the need to provide early warning of future raids, soon underlined by the threat posed by Zeppellins to British ports and urban areas. The sound signal was reflected by the dish, via a duty observer armed with a stethoscope, to a microphone which enabled the course of the intruder to be plotted. These signal stations thus formed a precursor to the development of radar from 1936. Due to the obsolescence of the technology from the late 1930s, and later coastal clearance work and urbanisation, very few examples (such as Fulwell in Sunderland and the Hythe/Dungeness group in Kent) have survived. It also bears a very direct relationship, through its form and design, to its intended use and thus its technological and historical context. Source: (Chichester Observer, March 1916). A sound mirror of your own! The Selsey acoustic mirror, known locally as the listening post is up for sale, with a guide price of £120 000 freehold. Described as Of Non Traditional Construction and Grade II Listed, this property of some historical interest is in need of totally updating. . From what I remember of my visit, the estate agent’s description is pretty much spot on! Kitchen, Sitting Room, Bedroom, Bathroom. There are Surrounding Gardens, a basement ideally used as a workshop and a Garage. Vacant Possession. Surrounding gardens which are currently overgrown with brambles, enclosed by fencing. Selsey would be a bit inconvenient for me, and having just bought a house, I’ve no plans to do it all again! This mirror is rather interesting, in that there is very little information about it floating around. The design is similar to the First World War era mirrors in the northeast. A couple of years ago when I spoke to Richard Scarth, author of Echoes from the Sky he said he’d not been to Selsey to see this one, and didn’t know much about it. 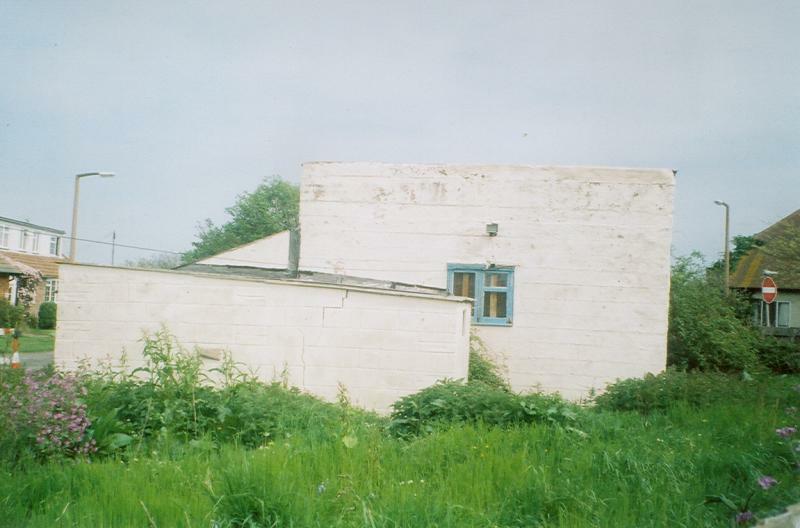 The Listening Post was in April 1999 recognised as a Grade 2 Listed building. During the 1st World War a listening post was built in Selsey at East Beach to provide early warning of approaching Zepplins. The structure took the form of an “acoustic mirror” which was built of concrete and shaped like a modern satellite dish. The structure survived and is currently the subject of great interest due to its rarity.